Since many years Facebook is accessed and updated daily. Some of your friends have posted a beautiful status update which is liked by you and images that impressed you. This may be in your memory, but not all posts are kept into memories. Are you going to search from the heap of posts and likes and comments what you or your friends have shared in Facebook? May be if you start today, you will end getting the result very late. Say for example, you want to know what you did this day means the date today and that year means a particular year that has gone by. By searching through your News Feed will waste your time and energy too. 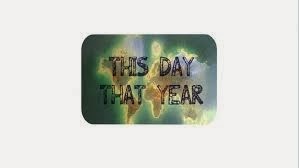 Lets make it simple and find out a solution for this question as to what your friends did "This Year ... That Day". At the left side of the screen, go to "Apps"
Please note that the year you joined Facebook will be the starting range of year in the drop down list. Also all the feeds will not be displayed of that year. Only a particular date like if you are accessing this app on 21st October 2013, then the app will display the News Feed of 21st October but of the selected year. So, simply get the details of your news feed of on this day and that particular year.